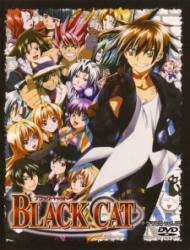 Watch Black Cat full episodes online English dub. Synopsis: Completing every job with ruthless accuracy, Train Heartnet is an infamous assassin with no regard for human life. Donning the moniker “Black Cat” in the underground world, the elite killer works for the powerful secret organization known only as Chronos.